Numerous Viagra lawsuits have been filed in U.S. courts on behalf of men who allegedly developed melanoma (skin cancer) due to their use of the erectile dysfunction medication. Plaintiffs Claim that Pfizer, Inc. withheld information about this risk from patients and doctors. April 2016: The U.S. Judicial Panel on Multidistrict Litigation (JPML) has agreed to centralize federal cases filed on behalf of men who allegedly developed melanoma due to their use of Viagra. According to a Transfer Order issued on April 7th, the U.S. District Court, Northern District of California, has been chosen as the venue for the litigation. March 2016: The JPML heard Oral Arguments on March 31st regarding the centralization of all federally-filed Viagra cases involving melanoma. December 2015: In a response to plaintiffs’ Motion for Transfer, Pfizer voices its support for the creation of a multidistrict litigation for all federal Viagra melanoma lawsuits. December 2015: Plaintiffs pursuing Viagra melanoma claims have filed a motion seeking the centralization of all federally-filed cases in a multidistrict litigation before a single judge. At least 15 lawsuits are pending in federal courts around the country, and plaintiffs predict that more claims will be filed in the future. They assert that centralization will reduce duplicative discovery, avoid contradictory rulings from different courts, and serve the convenience of the parties, witnesses and the courts. 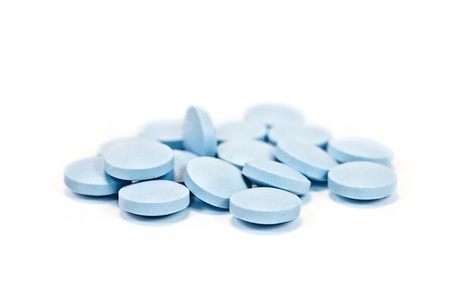 Viagra (sildenafil) was approved in 1998 for the treatment of men with erectile dysfunction. Since its launch, the medication has been incredibly successful for Pfizer, bringing in in nearly $2 billion in sales annually. However, a growing number of studies suggest that the use of Viagra might be associated with an increased risk of melanoma. In 2014, JAMA internal medicine published a study linking the use of Viagra to an 84% increased risk of melanoma. Additional research published in 2016 suggested that the cellular activity providing the mechanism of action for Viagra may encourage development or growth of melanoma. Melanoma is the deadliest form of skin cancer. It affects about 69,000 Americans each year, resulting in more than 8,600 deaths every year. Bernstein Liebhard LLP is now offering free, no-obligation legal reviews to men who may have developed melanoma due to Viagra, as well as their surviving family members. To discuss the options available to potential Viagra lawsuit plaintiffs, please call (888) 994-5118.